Prompt 9 for the Book of Me is all about Halloween, which is appropriate given that it occurs in week 9 of our project. 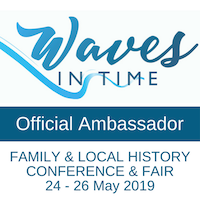 This will be a traditional event for many of my fellow bloggers, however Down Under it’s been a non-event until quite recent years: another commercial opportunity or just fun for the kids? I’m so cynical. Julie’s questions were: Have you ever participated in a Halloween event? When was it? Where was it? What did you dress as? Trick or treat? My answer to each of these is “no”. So my first thought was to pass on this week’s prompt but wait, there’s a lateral solution. The Story Bridge is part of the school’s geography and student memories. Our good friend Wikipedia has an answer to what Halloween is all about. It celebrates the eve of All Hallows or All Saints, the day when the Christian churches remember their saints. It also records that the celebration initiates the triduum of Hallowmas, the time in the liturgical year dedicated to remembering the dead, including saints (hallows), martyrs, and all the faithful departed believers. This is much more familiar to me for a number of reasons. It was always traditional in our house to go to Mass on All Saints’ Day (1 November) and also on All Souls’ Day (2 November) to remember all our family members who had died and gone before us. Actually this makes All Souls’ Day a pretty good feast day for family historians to celebrate. No particular year stands out because going to Mass was just one of those things you did on a weekly (or more regular) basis. The school chapel has an amazing atmosphere and without being spooky evokes generations of women who have worshipped there. 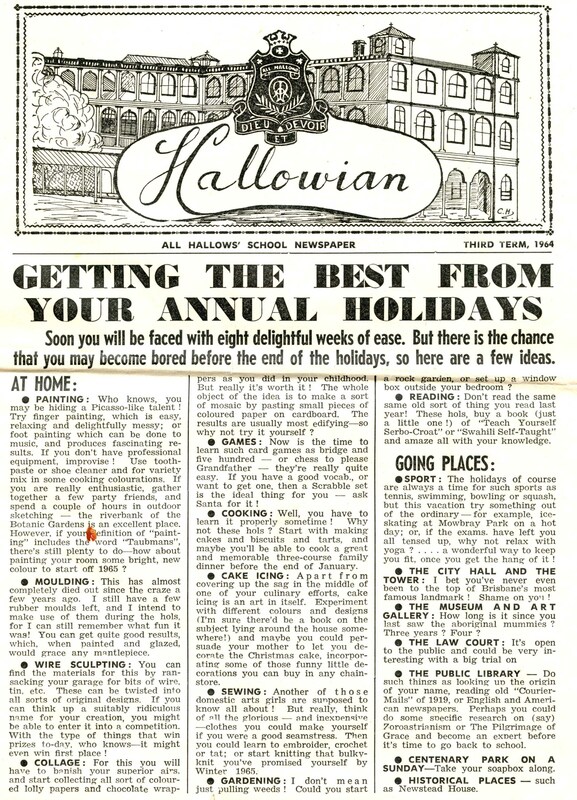 When I was at All Hallows’ the school’s quarterly newspaper was called The Hallowian and it was a more light-hearted reporting of what was happening in the school than the formal end-of-year school magazine. Back to the more temporal celebration of Halloween, we were in New England one year in mid-November, and traces of Halloween celebrations in garden decorations or florist’s windows. That’s probably my closest direct connection to Halloween. Happy Halloween to all my mates and Happy All Hallows’ Day to my fellow AHS students. 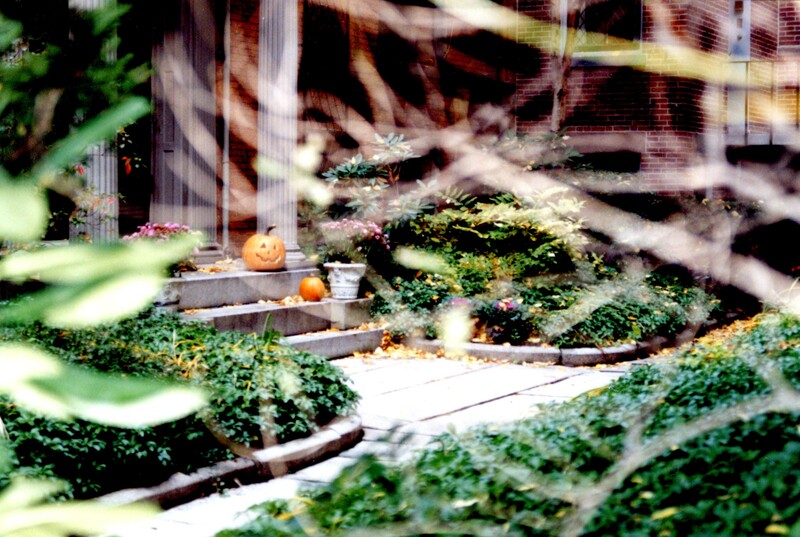 Pumpkins on a Boston doorstep 1992. 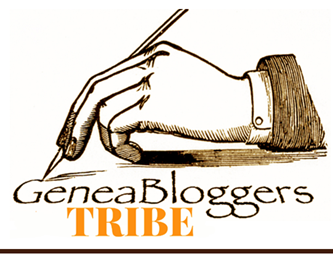 The topic for Week 45 in Amy Coffin’s and Geneablogger’s 52 Weeks of Personal Genealogy and History series is: High School. Describe your middle and/or high school. Was it a large or small student body? Is the school still in existence today? How has it changed since you went there? The old, new and not-so-new: buildings at All Hallows' including the heritage building on the right edge and the red-brick building which had state-of-the art facilities in my day, and the concert hall, new in my daughters' days there. 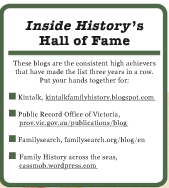 Earlier this year I wrote about my high school, All Hallows’ School, because in 2011 the school has been celebrating its 150th anniversary. At the time I spoke about its critical role in my life and the importance of the teachers who taught me there. Equally important to attending this school, was my mother’s determination in ensuring I was accepted to the school even though my primary school was run by a different order of nuns. At a time when many working class parents either did not believe in educating their daughters to university level, or could not afford it, my father and mother committed themselves to making this possible….without this opportunity I truly believe my life would have been very different. All Hallows’ is a reasonably large school with a student population of around 1000, which may have changed somewhat in recent years with a significant building program to utilise what is a restricted inner-city location. Inventive building strategies have been required to maximise the opportunities. 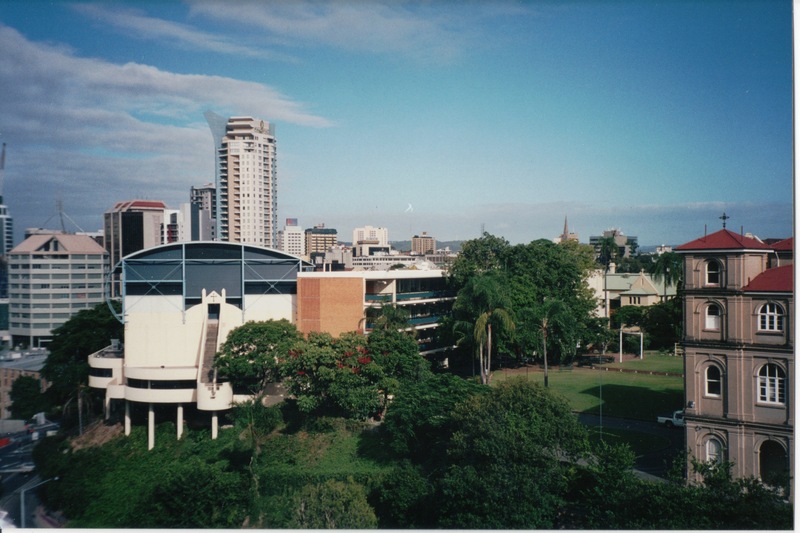 The Brisbane city skyline as I finished school: you can see the start of the high-rise construction..
What’s changed since I went there? In my day the teaching staff were almost exclusively nuns and when we passed them we would have to curtsy and say, ever so politely “good morning sister”. These days the teaching staff are mainly lay teachers but I imagine that the students still have to be as courteous. Our dress code was much more rigid than it is today. In some ways the school has had a more “modern” dress style than many other private schools of the day (aka public schools in the British system). However in my day, wearing stockings, gloves and hat was non-negotiable and failure to do so would generate a severe reprimand. It certainly kept the prefects busy ensuring everyone was dressed to code. And in case any wayward girl shed her gloves or hat on the way home, there’d be bound to be an “old girl” who would happily report the misdemeanour to the Principal! There are even occasions when I’ve felt like doing the same (before overcoming the urge) when their bags etc are scattered around the Brisbane mall on a Friday evening. They even have scarves to wear these days…how trendy ;-). Eating in public was a major no-no as people would apparently think our parents hadn’t fed us….not so today. 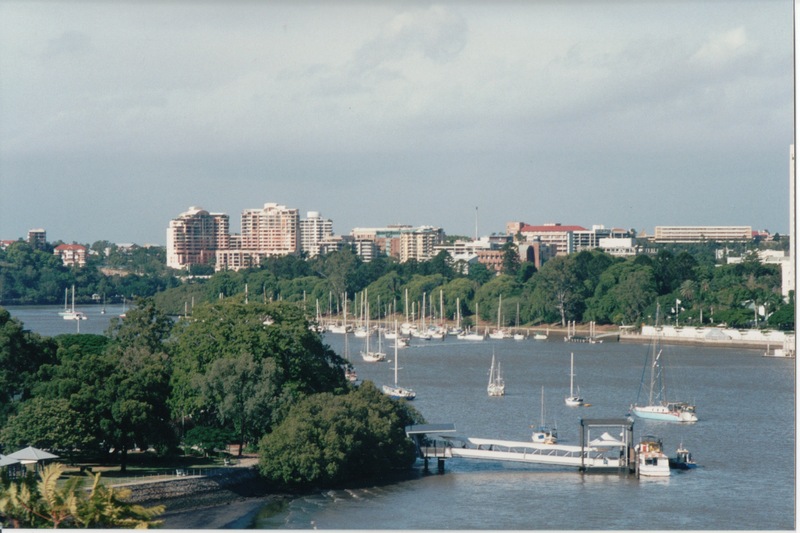 Brisbane's river view from near the school c2001. The area beyond the right of the image is dense with tall office buildings and high rises. 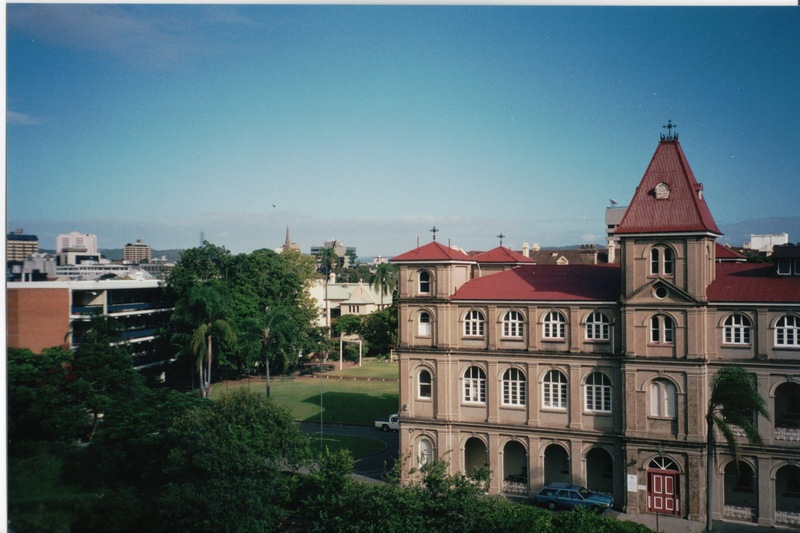 The old Customs House stands proud in the shadow of the new Brisbane thanks in large part to the support of The University of Queensland. We were equally restricted in our social interaction on the way to or from school. It didn’t matter whether the boy on the bus was your brother or the gorgeous creature (usually from Churchie) that you’d had your eye on for ages….there was to be no communication…not even meaningful glances. By the time my daughters went to the same school they had a repertoire of male friends whom they met on public transport to/from school. When they were at All Hallows’ there was a visiting group of Italian students on exchange at the school…the “interpersonal interaction” on the Terrace was enough to make the deceased nuns spin in their graves! 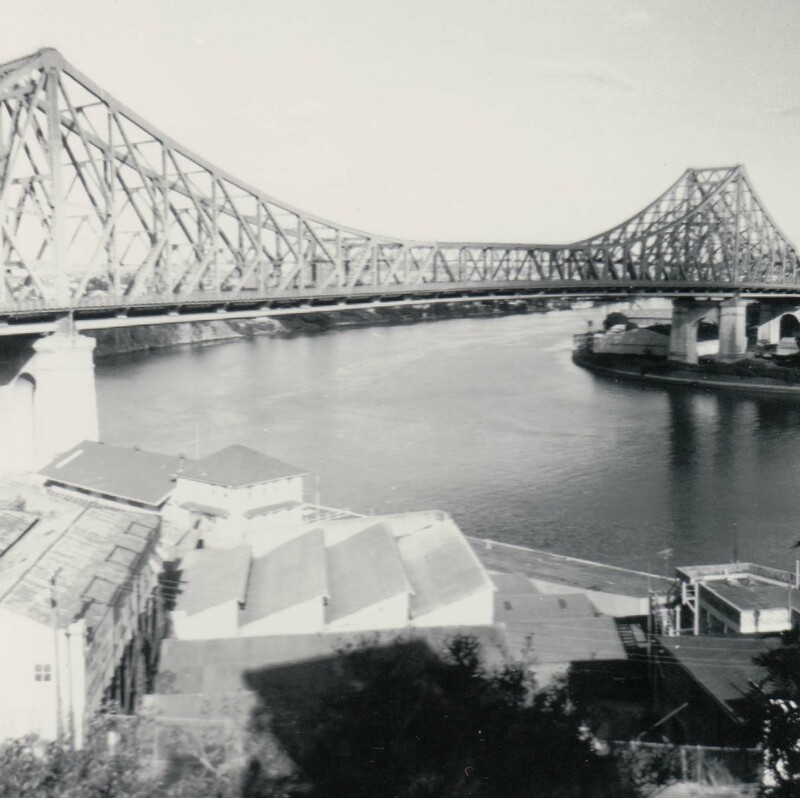 The Story Bridge: part of the school's borrowed landscape as the saying goes. The bridge has always been something of a character in the school's events and dramas including this year's celebrations. 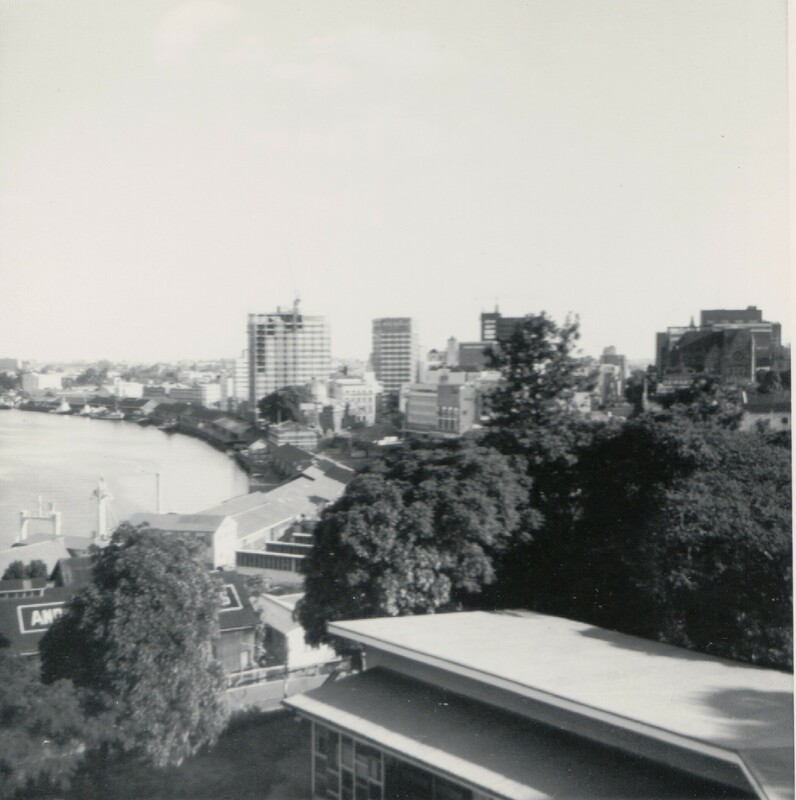 Where there was wharves and working areas are now high rise apartments and a hotel. Another significant difference, too, is that in my time we had both boarders and a primary school stream. There was always a division of sorts between the boarders and day students as we had an independence that their restricted lives precluded. I believe that the primary school has recently been reopened. The primary school strand was closed first and some time after I left it ceased to be a boarding school. Another major difference is the view from the school up and down the river as you can see in the photos here. Taken from slightly different places near the school you can see how Brisbane has mushroomed. The school retains its emphasis on academic, sporting and cultural achievement as well as its focus on Mercy ideals and faith-based activities such as retreats or charity and support for the less-advantaged. On Bow Tie Day this year, one class of students collected $15,800 for the Multiple Sclerosis Society from Brisbane’s CBD workers and visitors…that’s a pretty impressive contribution! I admit that when did something similar I was really pathetic at doing the collecting…left to my teenaged self they’d probably only have raised $15.80! 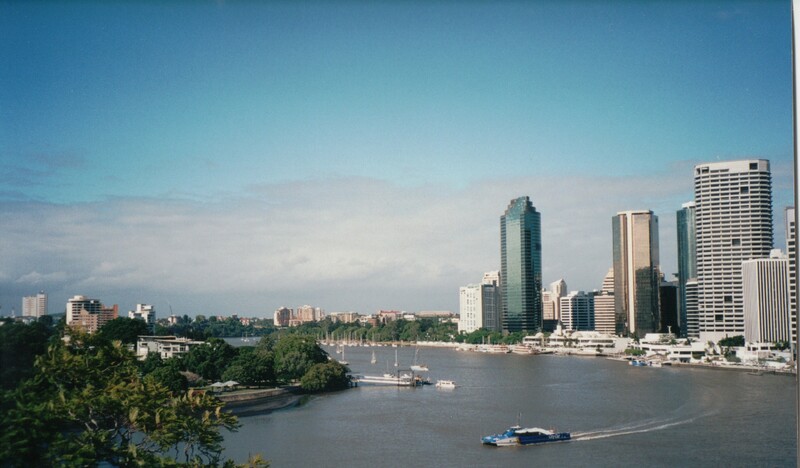 Brisbane, the River City c2001 from near the school. The style of the activities may have changed but I imagine in many ways, it would be perfectly possible for any “old girl” to slot right in. What remains for many are the bonds formed between these teenage girls as they progress through high school and into the wider world, and the knowledge that women can be independent and successful…however each young woman chooses to define it. I doubt, too, that there’d be many of us who have forgotten the spiritual presence of generations of women that you feel in the school chapel. No wonder it’s been such a success since they opened it as a wedding venue. If you missed my earlier post , I’d love you to read it in conjunction with this story. 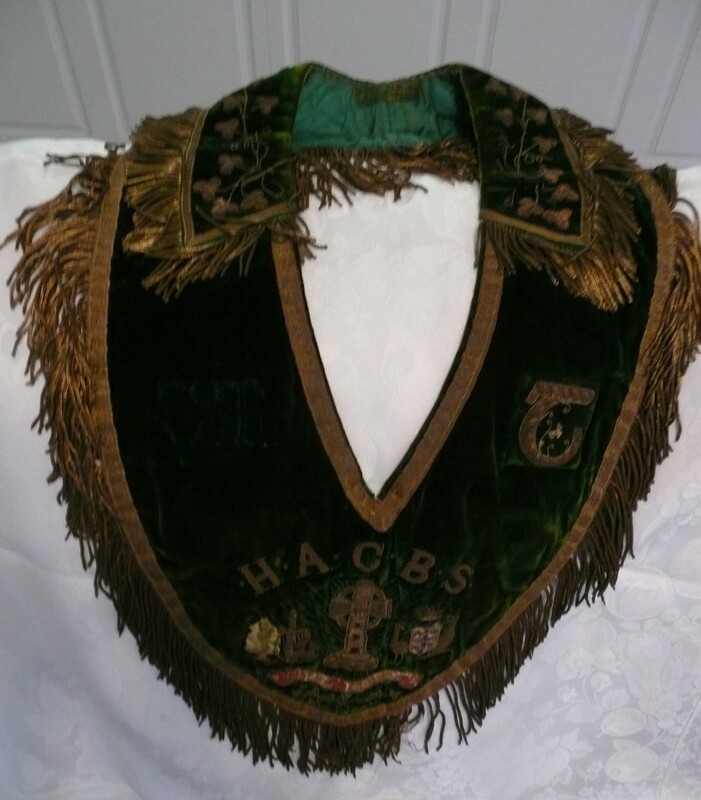 This weekend my Alma Mater, All Hallows’ School (AHS), has celebrated its 150th anniversary. 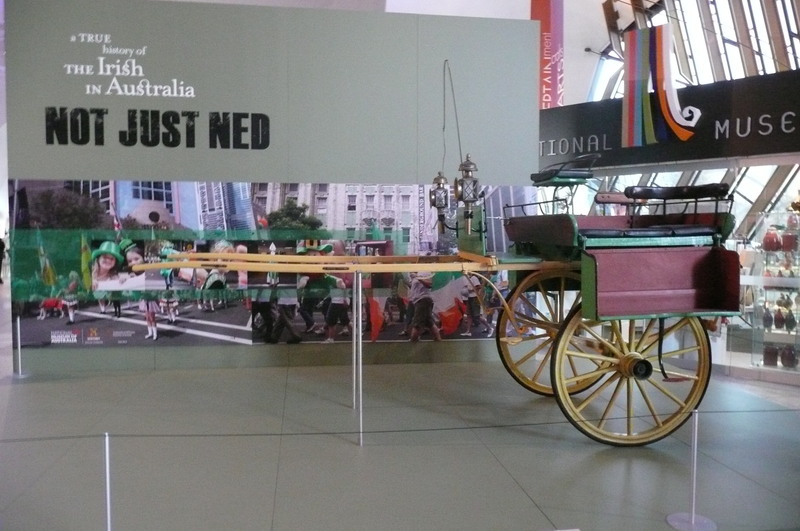 This may not seem much to those in the northern hemisphere but it remains one of Queensland’s oldest schools. The school was established by the Sisters of Mercy, led by Mother Vincent Whitty and five young nuns, who arrived on the Donald McKay with Bishop Quinn in 1861, having had only FOUR days to prepare for this amazing journey around the world. I read, to my surprise, that one of the nuns on this voyage was Sister Mary Benedict, the name of my own excellent science teacher in the final years of high school. The Sisters of Mercy hold as one of their precepts, service to the less advantaged, and in fact the school has always had a diversity of pupils. The example of the nuns has always included one of role modelling strong women’s leadership. While the school is often thought of locally as a school for the wealthy or in the vernacular, a “snob” school, this is definitely not the case. My family is/was definitely not wealthy yet three generations have benefitted from the wonderful educational opportunities provided by All Hallows’. The facilities have always been avant garde though perhaps they would not choose to describe them this way. Cutting edge language and science laboratories and a reference library were among the resources we had at our disposal. Of course there was always a strong emphasis on culture, music and theatre ie the art of being a young lady. I wonder how many schools produce their own classical music vinyl record? Unfortunately I was never talented at music though I notice a photo on the school’s pages of our senior year play includes one of the Shakespeare play we did. Of course there were also all sorts of strictures on appropriate behaviour which could generate an enormous kerfuffle when they were breached eg eating in public, not wearing hat and gloves etc. View over All Hallows' from nearby rental accommodation. However I can honestly say that my four years at All Hallows’ were a critical and wonderful part of my education as well as a pivotal part of my life’s experiences. Retrospectively I’d like to thank all those nuns, and they were pretty much all nuns, for the superb education they gave all of us. In particular Sr Mary Benedict for her excellent teaching in science and Sr Mary Borgia for German, even though science took precedence. Not to mention Sr Mary Marguerite, the school’s Principal during my era, who could bring you into line just by looking at you and not even raising her voice, but who was always incredibly fair. I haven’t mentioned the religious elements of our education but for me that’s encapsulated in one thing. 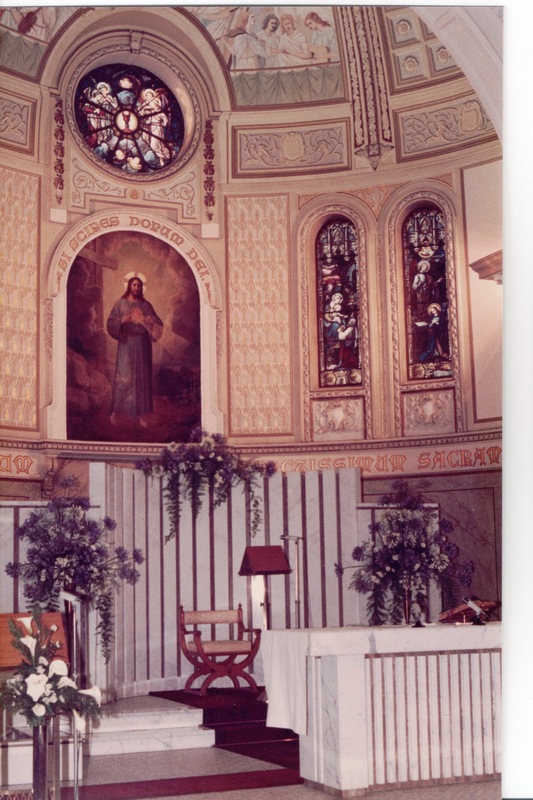 The atmosphere in the school chapel can send goosebumps up an “old girl’s” arms: the place is redolent with the spirits of generations of nuns and pupils past and present and is a truly special place. So many memories: friends’ birthday morning teas, cousins, parades, charity work, sports days, theatre outings, ecumenical events, oh yes, and learning. Of relevance to no one who hasn’t “lived” there yet with its position above the bridge and the river it has been part of Brisbane’s history for nearly 150 years (the first school was near the present cathedral). My own AHS-related memories include two of my earliest family history colleagues with whom I shared and learned research strategies and discoveries. I’m proud to be an All Hallows’ girl as the boarders’ song goes, though for me the school anthem, Angeli Archangeli is more emotional: it’s bizarre how quickly the Latin words come back to you. Oh, and for those who know Brisbane, no, the school walls weren’t built by convicts.